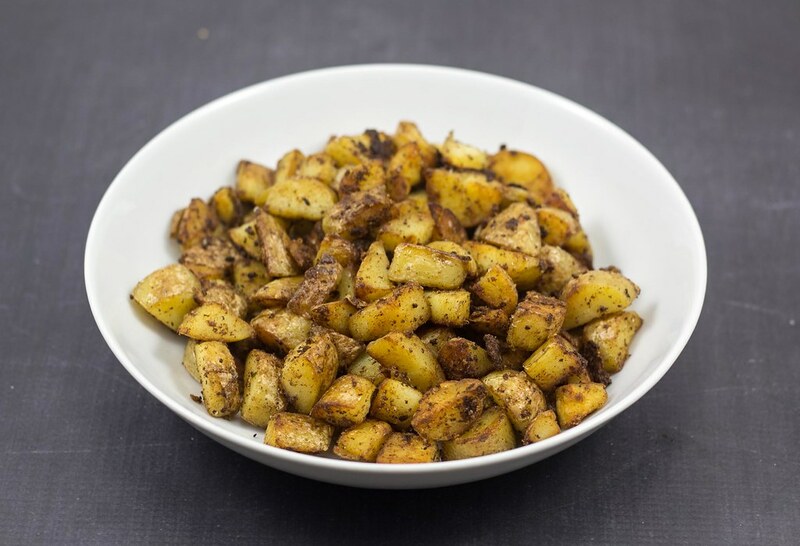 In Danish these butter-fried potatoes are known as brasede kartofler or sometimes just braskartofler which roughly translated simply means fried potatoes. I do not think we can make a ‘patent’ out of this recipe or call it a traditional Danish recipe. However, it is for sure a well-known recipe in Denmark and a popular way of turning leftover potatoes into a delicious and filling dish. We typically serve these potatoes together with a slice of Danish rye-bread or Paleobread. 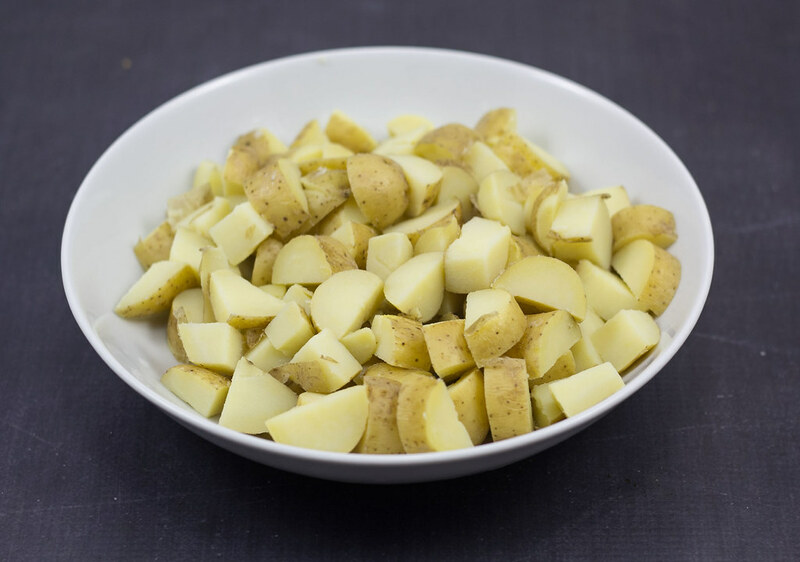 In general we eat a lot of potatoes in Denmark – not the processed potatoes with oil and flavor-enhancing ingredients – but just simple peeled and boiled potatoes. 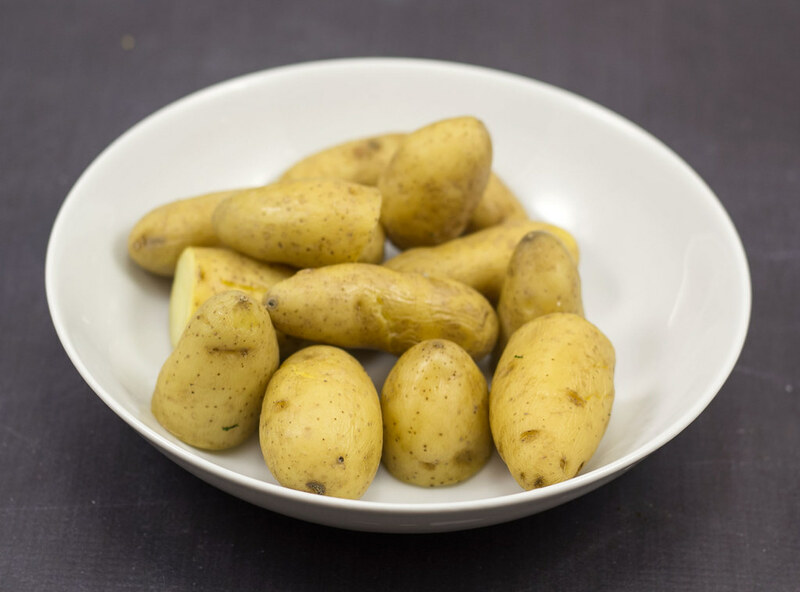 The climate in Denmark allows a high production of potatoes so we have good access to cheap potatoes of a high quality – that is properly also the reason why potatoes are such a popular ingredients in the Danish cuisine. This recipe is very easy to prepare and it only takes about 15 minutes if you already have some boiled potatoes. This recipe is so easy that it probably does not count as a recipe – it is basically just frying some diced potatoes in butter and adding salt to taste. We have made these potatoes so many times so we have a good feeling about how much butter we need for a certain amount of potatoes. However, we have tried to measure the ingredients which can be seen in the recipe below. about 12 small potatoes or 6 large, boiled. 1. Dice the cold and boiled potatoes. 2. Heat up a frying pan and add the butter. Let it melt. 3. 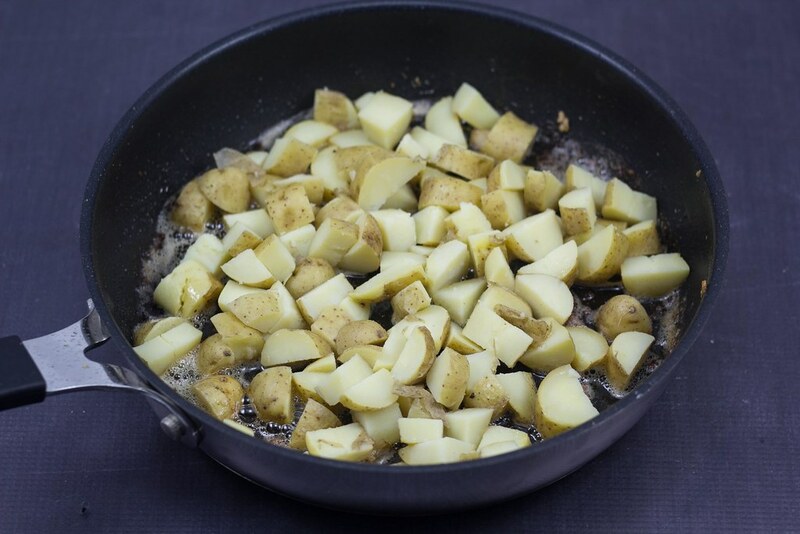 Add the diced potatoes to the frying pan and fry them for about 8-10 minutes at medium heat. Stir in the potatoes regularly. 4. When the potatoes are getting a light-brown color and a nice and crisp crust, they are done. Tip: serve the potatoes with some ketchup and a fried egg.